Recently Kish got me some cookie stamps so that I can produce cookies with a design stamped on top. This recipe came with a box of four stamps from Williams-Sonoma, and I’m going to give it a try today. The recipe is simple, but the trick will be making dough that holds the pattern of the stamp design. Cream butter and sugar together until light yellow, then beat in the egg. Add lemon juice, milk, and vanilla extract and beat. In a separate bowl, sift together the flour, baking powder, and salt, then mix the dry ingredients into the butter mixture and blend well. The last of the flour must be kneaded into the mixture, producing dough that is stiff. Roll dough between your hands to form round balls that are one inch in diameter, then lightly roll balls in flour and place on buttered cookie sheet 3 inches apart. Dust the patterned surface of the cookie stamp with flour, shake off excess, then press the balls of dough flat with stamp. Cookies should be thin, with just enough dough to fill the indentation of the pattern on the stamp. Bake for 10-18 minutes until golden brown on the edges. Williams-Sonoma suggests testing the dough first by doing one or two cookies to make sure that the pattern stays sharp during baking. If it doesn’t, more flour should be kneaded into the dough. 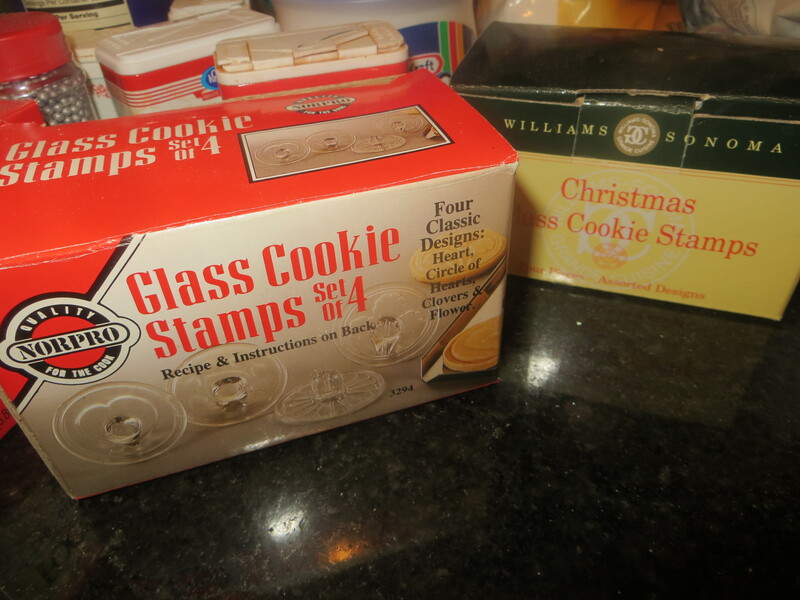 This entry was posted in Food and tagged Baking, Calling For Christmas Cookie Recipes, Christmas Cookies, Cookie Stamps, Cookies, Food, Holidays, Lemon Butter Cookies, Williams-Sonoma by webnerbob. Bookmark the permalink.